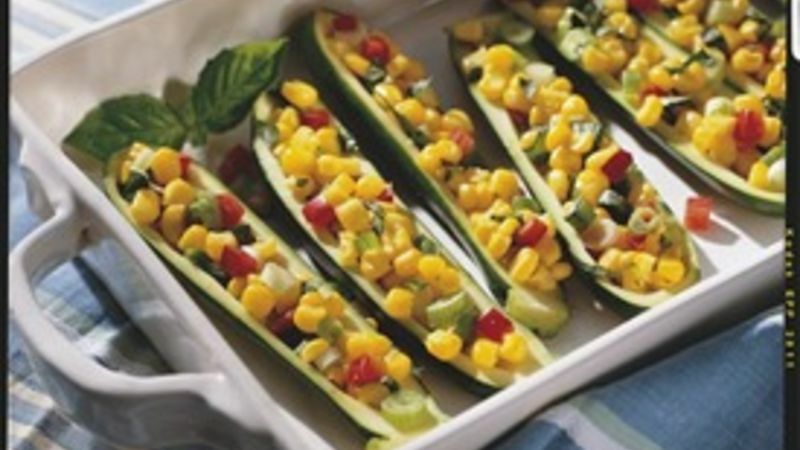 Cut courgette lengthwise in half; place courgette and water in microwavable dish. Cover with plastic wrap, folding back one edge or corner 1/4 inch to vent steam. Microwave on High 3 to 5 minutes or until courgette is crisp-tender. When cool enough to handle, scoop centers from courgette, leaving 1/4-inch shells. Discard centers. Mix remaining ingredients. Spoon about 2 tablespoons corn mixture into each courgette shell.